I know what you’ve been doing. Why you live alone and why night after night you practice Kata & Form. [I just watched The Matrix for the first time since I began studying Xing Yi. 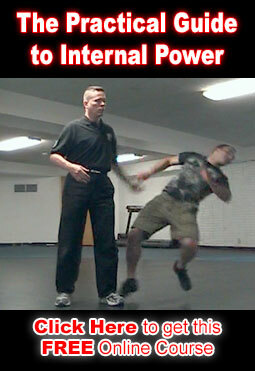 I now think everybody should learn a little Xing Yi just so they can watch The Matrix again with new eyes. Neo at the beginning of the movie reminds me of myself and all those external martial artists out there trapped in a matrix of rote technique and kata. It’s the question that drives us. It’s the question that brought you here. You know the question just as I did. …And it will find you if you want it to.